Blogs, blogs, and more blogs. They’re in every corner and every pocket of the universe known as the World Wide Web. Everyone – from professionals and teenagers to fictitious characters and even cats – seems to have a blog. But what are they, what purpose do they serve, and do you really need one? The term Weblog was popularized when Jorn Barger, a highly intelligent programmer and writer, created a website called Robot Wisdom in 1997. He posted his thoughts and ideas about a variety of subjects, creating a scrollable history of his posts on a single page. At the time, writing about interesting things in the world and publishing it online was a completely new idea. So Barger called it “logging the web.” This was quickly shortened to “weblog.” This new website style became popular and, pretty soon, everyone began sharing their thoughts online like they were writing in a journal. 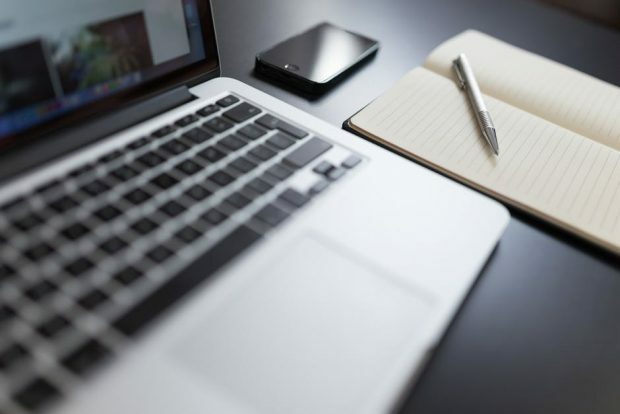 Whether used as a journal or not, weblogs are simply a method to create and deliver content across the internet in a way that can facilitate discussion and sharing, keeping track of the chronological order in which they’ve been posted. If you’re like most people, you probably have a blog for yourself or your business. If you’re calling it a blog in your navigation menu, you may want to think twice. Thanks to people who’ve forgotten that content marketing is supposed to provide high quality content and immense value, many blogs have become saturated with content that doesn’t add value to the visitor’s experience. Because of this, many people expect blogs to be boring, and if they see a link titled “blog,” they may not bother to click on it. It’s best to use a different term that doesn’t come with so much baggage. Choosing titles that match your business and make your visitors want to click on the link is the key to presenting your business in a professional manner. Just be sure that whatever title you give to your content section matches every piece of content you’re going to publish. For example, you don’t want to call it “News” if you’re also posting how-to guides. Years ago, people would give simple titles to their blogs like “Justin’s Blog” or “Sally’s Blog Adventure.” There was no real thought; it was convenient. Times have changed and what you choose to call your content, formerly known as a blog, needs to be memorable, marketable, and unique. This means not just trying to get creative with the word “blog,” but eliminating the word “blog” completely. There’s nothing unique about the word “blog” and in the marketing world, every word counts. It makes no sense to waste precious web real estate with this word. Look at your website from an objective point of view. Are you passionately posting quality content, or are you just posting mediocre articles for SEO purposes? If you’re having a hard time coming up with a good title, it might be because your content doesn’t have a purpose outside of gaining SEO rankings. If that’s the case, it’s not too late to turn it around. Just commit yourself to producing quality going forward, and it won’t be so hard for you to come up with a title for your content. You can think about this one while you’re devising ways to increase traffic to your content. When blogs reached their peak in the 1990s and websites like LiveJournal took center stage, people spent a good amount of their time posting angry rants and raves with endless opinions and judgments against everything they didn’t like. It’s no secret that some people love to argue, and the internet just makes it easier to do so anonymously. Just as you don’t have to think inside the box, you don’t have to think outside of it, either. In fact, you can shred the box and burn it. At the end of the day, it doesn’t matter what you call the article section of your website, as long as people are clicking on it and receiving the value they expect on the other end of that link.